I tried only the HD emulation creation and I can confirm that it did not boot in Qemu (as Dhilip89 expected), but it did on the very old VMWare I have on a machine. But I have a couple of reports unfortunately not very accurate, that the .iso making does work in Qemu. Could you try building the .iso in Qemu (+ Qemu manager) and try the resulting .iso in Virtual PC? Purpose is to delete both files, isnt'it? I updated the file in first post. Didnt have time to test it. I was thinking it was going to be a Winbuilder Project, but after looking at the PDF . I can see that is needs some getting down and dirty with. Ill try to read the documentation before trying it out. I like the presentation and the step by step with picture method you have taken. So this should work or an Nlite version too, right. There was no mention of how much RAM is minimum. Yes, it should work with any Windows NT 5 binary, even nlited. Maybe have more time next weekend to test more. Thanks for sharing this knowledge. after reading some more I think I might have a bit of time to start testing. Do we need the pagefile or can that be deleted. Or do we disable it. ETPatch will automate this task. I manually had disabled the pagefile. Final Result in first test. I was able to get all the way to create ISO. 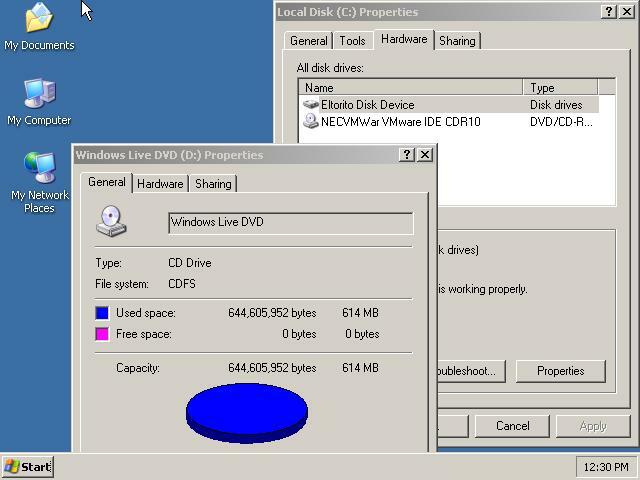 Then Remove the HD attached to VMware, and realocate the Virtual CD/DVD rom to IDE 0:0 in order to boot from CD without using HD. Did you enable EWF on the VM before creating the ISO ? 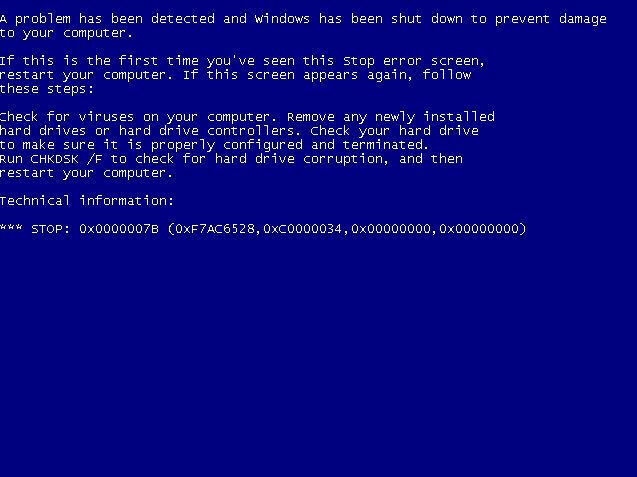 This may be an error on the hard disk image, you may try chkdsk to check the problem. Do you mean the original I created the Bootable CD from and if so. How is the chdsk run on it. Will have to experiment more till next weekend. I mean run the chkdsk on the virtal hard disk inside VMware which you used to create ISO. I got it to work from CD, it is nLited. Windows folder is 130MB. How did you get a nlited XP that small? In that case... It's pretty big! He means he just checked every box. This makes a small install, but nothing really works correctly. It's a good direction to work in though. 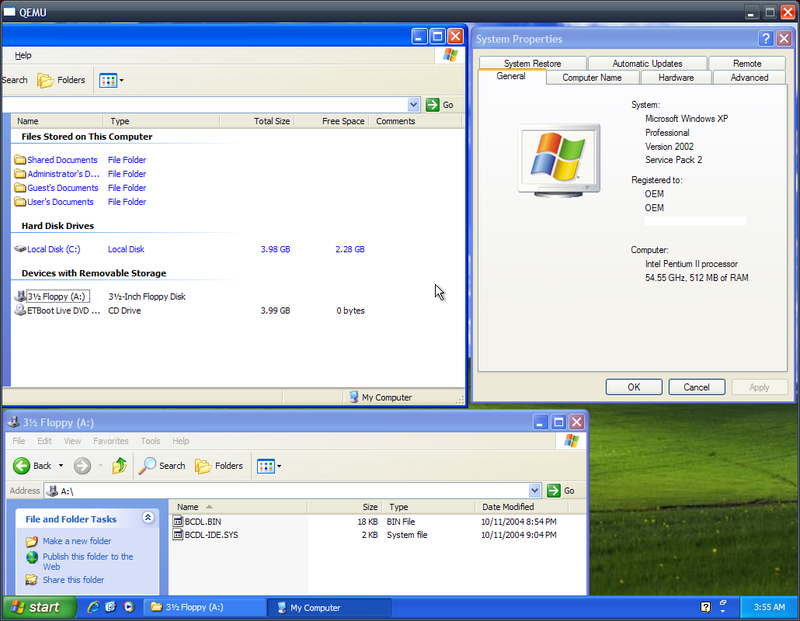 I've been running embedded windows made from reduced retail XP. So of course I wonder, can this project (currently) run in physical RAM when nlited or reduced? Seems so. It may be work or doesn't work as I never tried it due to my image still too large to fit in RAM. I have some good news for "NON-VMware" users. 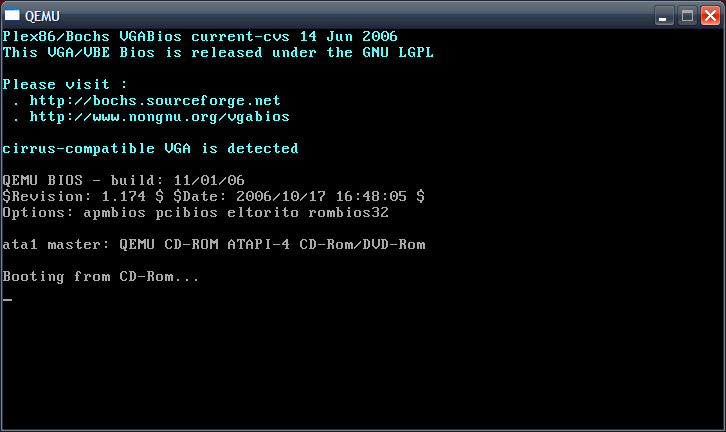 As reported before, Qemu does NOT boot from a hard-disk-emulation CD. Not even using grub4dos and chainloading, at least with the versions I tried. But IT DOES BOOT if one uses the good ol' BCDL as boot floppy to chainload the CD. At the moment I have no way to try this with the ETboot project, due to lack of space/resources, can someone who has made an ETboot .iso test if it works in Qemu with BCDL ? Great find, it is working now. It just hang on this screen. This should mean that we can use directly RAW images (even "dd like" images of a HD) and that we need NOT to change the IDE driver, as Qemu uses the "Standard PCI dual channel" one. As a reminder, RAW images can be mounted with VDK, directly or through a .pln file and with IMDISK (giving it the correct offset to the bootsector). Microsoft provides a command line utility EWFMGR.EXE that reports any protected volumes and provides various commands that will be processed on the next restart of the PC. - Disabling/enabling EWF for a protected volume. - Restoring or discarding an overlay level. - Creating a checkpoint by adding an overlay level. - Committing the current overlay. - Persisting data through a reboot. As well as a Delphi conversion of the EWF APIs, this package includes a Windows demonstration application using the APIs. Please note this program has only been testing on Windows WP Embedded running on a flash memory C drive (IDE interface) with a single overlay in RAM. It has not been tested with a hard disk which potentially offer multiple overlays.